"I'm happy to still be playing inter-county level albeit not for Mayo"
Liam Irwin is used to expectation. A two-time All Ireland winner with Mayo, at U21 and Minor, the forward announced himself for London by scoring a point with his very first touch for the Exiles. It almost went unnoticed amidst the disappointment of London's defeat to Waterford. But the way Irwin cut inside, bouncing off one Waterford challenger, before firing over instinctively, will no doubt have struck a chord with Mayo and Breaffy GAA fans alike. It should come as no surprise he's taken little time to settle into London life after transferring to North London Shamrocks two months ago. Born in Greenford, West London, Irwin has family living in Ruislip, Hounslow and Greenford. His parents lived in London for 20 years before moving back to Mayo when he was a year and a half old. "It was always in my mind to move here at some stage," Irwin told the Irish World. "I'd always thought about going to London because of my family over here…..I can relate to it. "I just didn't think it would happen so quickly. It's flown by and I'm enjoying every minute of it." Irwin's 2-2 in the 2016 All Ireland U21 final helped Mayo to lift the Clarke Cup for the first time in ten years, but he certainly doesn't seem like a man carrying the weight of being an All Ireland winner. "I don't get worked up over pressure - you thrive off it. I wouldn't look at articles. It's nice for the family to look at back in Mayo, but I wouldn't feel any added pressure," he added. "I'm just another one of the lads, and there are guys there who are definitely showing me up in training. I have to work harder. "Obviously Mayo are at the top end, but there are quality players here. I've learnt a lot in the last few weeks." 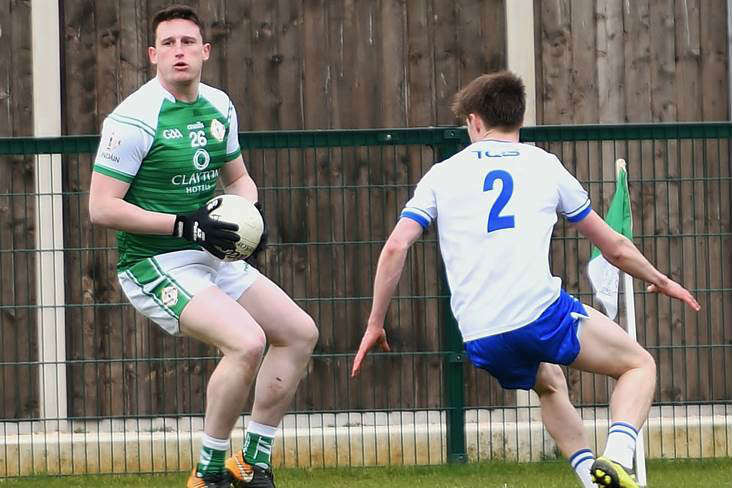 Having made the breakthrough into the Mayo senior panel during last year's National League, his omission from Stephen Rochford's championship panel raised an eyebrow or two. "I was disappointed, but the standard is seriously high. Especially for guys trying to break through," he said. "Maybe I just wasn't ready for it. I thought I might have been ready for it this Christmas, but I didn't get the call. Life goes on. "I'm happy to still be playing inter-county level albeit not for Mayo. I'm playing football at the highest level I can and I'm happy enough with that." Irwin watched on as his Mayo teammates went on to lose to Dublin by a point, and having exited the Mayo club championship with Breaffy at the quarter-final stage, thoughts began to turn to London. "I was hoping like every other lad around Mayo that I might get a shout in November or December. It didn't come and you have to be man enough to deal with that," said Irwin. "I felt my chances of playing for Mayo in 2018 were gone." He added: "It wasn't a decision I had to make. It was February and I hadn't got a call. It wasn't me that made the decision. "I definitely wouldn't rule out playing for Mayo again someday, but if the guys went on and won [the All Ireland] it I'd be delighted for them." For Irwin the target is Sligo on May 6 at McGovern Park, and should the Exiles prevail a semi-final with the winners of Galway and his native Mayo.